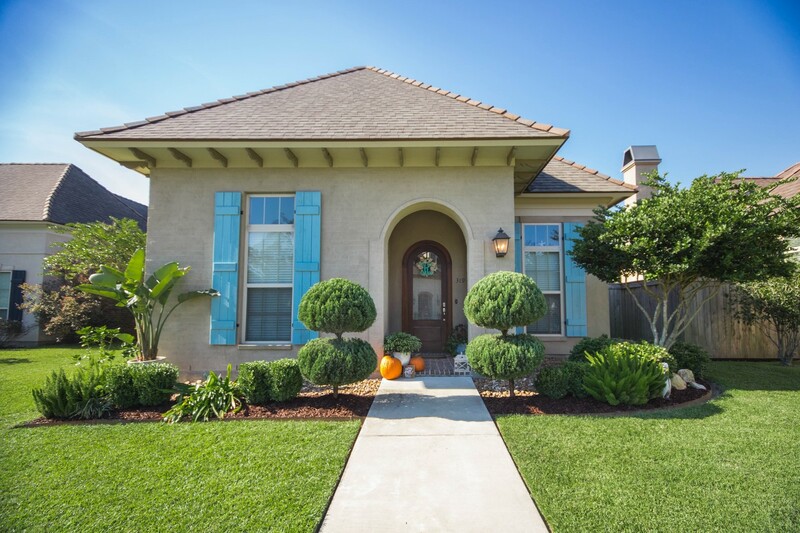 319 Brightwood Drive, Lafayette, LA 70508 listed for $306,599. This home was UNAFFECTED by the recent flooding! 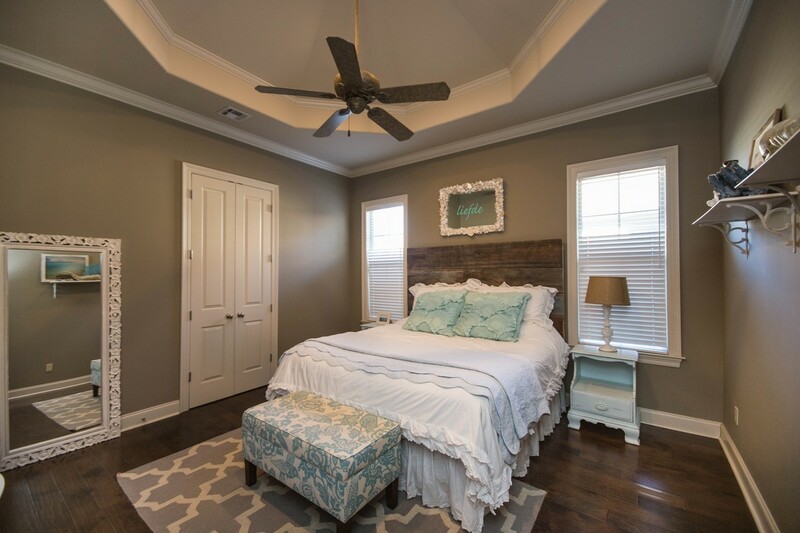 In this stunning home built by Heritage Homes builders you will find 10′ and 12′ ceilings, and wood flooring throughout the living room, halls, and master bedroom. 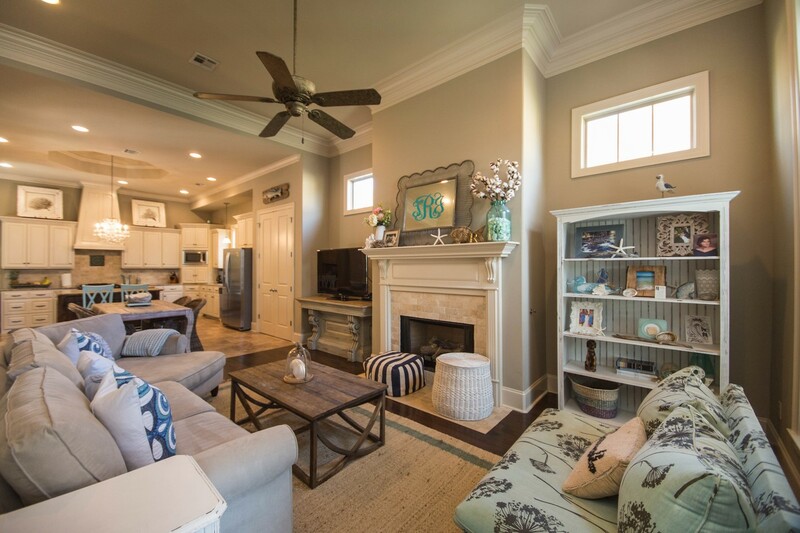 In this open floor plan, the living, dining, and kitchen are the perfect area for gatherings with family and friends. The spacious kitchen features slab granite, Whirlpool stainless steel appliances, plenty of cabinets, a large island with room for seating. 20” tiled floors start in the dining room and extend into the kitchen and laundry room for attractive looks and easy cleaning. The laundry room has multiple cabinets, a sink, and an area to hang clothes. 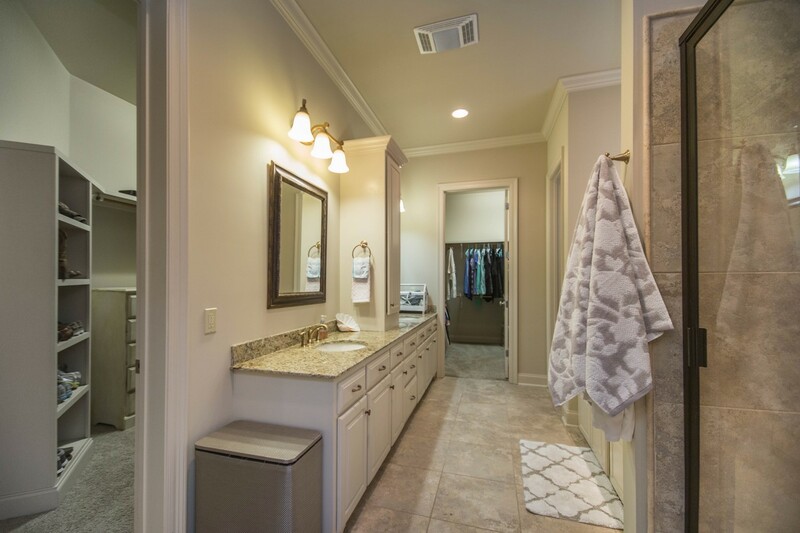 The split floor plan has a large master bedroom and bath suite that includes a tile walk-in shower, 6′ jetted tub, double vanities, plus large his & her walk-in closets with built-in shelving. There is a workstation consisting of a desk and built-in cabinets adjacent to the master bedroom. This home has an indoor gas and outdoor wood fireplace. The huge covered outdoor living space is perfect for relaxing or entertaining. 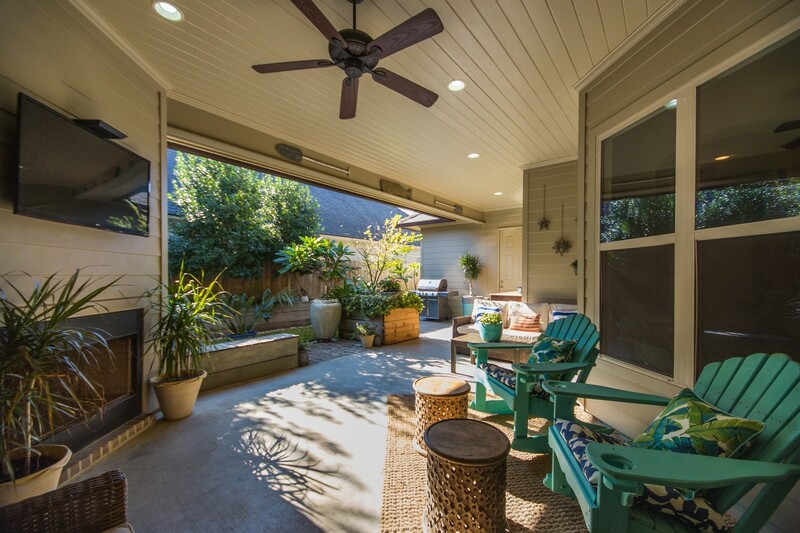 On this expansive patio, you will find built-in cabinets, an outdoor sink, TV hookup, and space for grilling. Included in the sale is a Weber Genesis S330 stainless steel natural gas grill in great condition, already hooked up and ready for some steaks! The low maintenance backyard is beautifully landscaped with custom planter boxes and mature trees providing privacy. A paver pathway extends from patio to front gate; gutters and French drain are installed. The rear entry garage faces the alleyway. House is wired for LUS fiber and a security system. 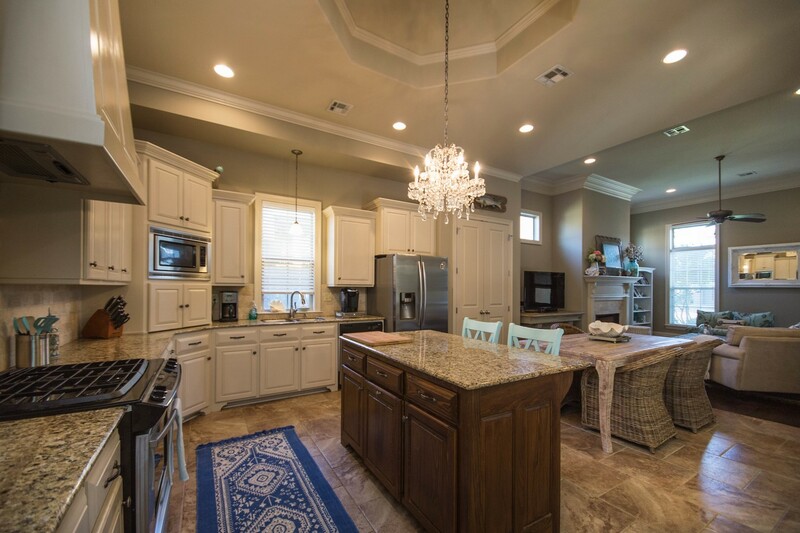 Grand Pointe subdivision has a gated community pool and clubhouse, as well as pond stocked with bass and bream. Preferred lender will pay $2500 of closing costs. This is a limited service listing. Sellers represent themselves. Seller is Tania Ricciardone (225-678-0568; taniatruter11@gmail.com). Seller will negotiate for themselves. Send offers to reliancerealestategroup@gmail.com and copy all offers to seller at ruthyg91@gmail.com. Contact seller for anything else in regards to this listing. Schedule all showings through CSS. Reliance Real Estate does not hold property deposit checks. LA/LO will NOT Advise the seller on PA’s; LA/LO will NOT Arrange Appointments; LA/LO will NOT Assist seller in counteroffers; LA/LO will NOT Negotiate for the seller.